We are a reputed Manufacturer & Supplier of Blood Bank Refrigerated Centrifuge based in Telangana, India. Our Refrigerated Centrifuge is made from quality components and in accordance with set industrial parameters. We stock the Blood Bank Refrigerated Centrifuge in our spacious warehouse to address customer’s bulk requirement. 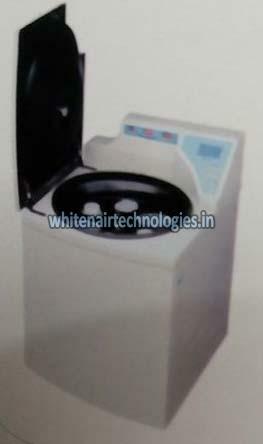 We are offering Blood Bank Refrigerated Centrifuge to esteemed buyers at highly affordable rates.